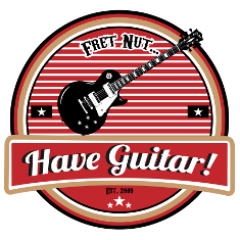 effect pedal Archives - Fret nut... Have Guitar! Pedal Frenzy by Have Guitar! Wow, it’s been way too long since I did a Pedal Frenzy (review) here! So this feature is now back AND in a revamped presentation. I do think this format is better, as it’ll show you in real time exactly what I’m doing with the pedals settings… and yeah, it is a long video and you might or might not like that. I however got tired of some pedal videos where you hardly get to hear the pedal so I set this up with two very different guitars and three different “amps” (Kemper profiles! ); Fender Bassman, Revv 120 & the mighty PRS Archon. And I’ve also included an index so you can jump around as you please. In the video that is but sure if you wanna jump around whilst watching this video, go ahead! I’ve had my eyes on the Harley Benton Vintage Overdrive for quite some time now, actually I heard a lot of good talk about it, from other guitarists. Gotta say after I had a go with it, I was pleasantly pleased with its performance. It’s cheap, it’s green and it’s a Tube Screamer clone – also well built for that sake! In my ears this low budget stomp box sounded much better than one might expect and well… I guess you just have to watch the video to hear it for yourself. 26:24 – Conclusion and goodbye! And there we have it – hope you liked this video, don’t forget to subscribe as your support will be appreciated! To each and everyone who already sub’s – Thank You!!! Black Rat Distortion from Mosky (Guitar effect pedal demo) – Pedal Frenzy! Black Rat Distortion pedal from Mosky (Guitar effect pedal demo) – Have Guitars Pedal Frenzy! It’s black, it’s small and mean – the Mosky Black Rat Distortion pedal demoed in this episode of Have Guitars Pedal Frenzy! Def’ a nice pedal if you’re running out of space on your pedal board as this is a tiny, 125 grams distortion pedal. Take a look at the video now to see how it sounds! This is the end of 2017 – I just wanna say THANKS for all the likes, views and subscriptions! If you don’t subscribe already – please do so now, for more guitarreleated videos from Have Guitar! And… a happy new year to all of you! Author adminPosted on December 28, 2017 Categories Pedal FrenzyTags black rat distortion, effect pedal, fret nut have guitar, guitar effect, mosky, pedal demo, pedal frenzy, stomp boxLeave a comment on Black Rat Distortion from Mosky (Guitar effect pedal demo) – Pedal Frenzy! Have Guitar! is happy to present to you the stomp of the month, the pedal frenzy of Neunaber Immerse Reverberator! This pedal is designed to give you the best of the reverbs from the Neunaber Expanse and there’s some very nice reverbs coming out from this lil’ box. You will get no less than eight effects here: Wet, Hall, Plate, Spring, two “Shimmers”, wet+echo and wet+detune – where the last one is like a really sweet chrous effect. The Neunaber Immerse will give you a host great sounding reverb effects and as seen above you will get a delay and a chorus effect to add to that. The pedal has also tow additional switches; Kill Dry (where you only will hear the wet signal, the reverb so to speak) and Trails (where activated the reverb continues when you turn off the pedal). All in all – good sounding reverbs, a couple of extra effects and many many option to tweak the sound that you are after. Now… hit play on that video! Hey! If you like the video… please do subscribe to Have Guitar! It’s just a click on the sub-button but every sub helps the channel to grow, which means more chances I will be able to do more guitar releated videos… so I hope you liked it! Thanks to all you who already subscribe!! Recorded with a Sony FDR-AX100 and edited/rendered in Magix Movie Studio Platinum 14.